The South African Council for the Architectural Profession (SACAP) is a regulatory body established in terms of the Architectural Profession Act 44 of 2000 (the Act). 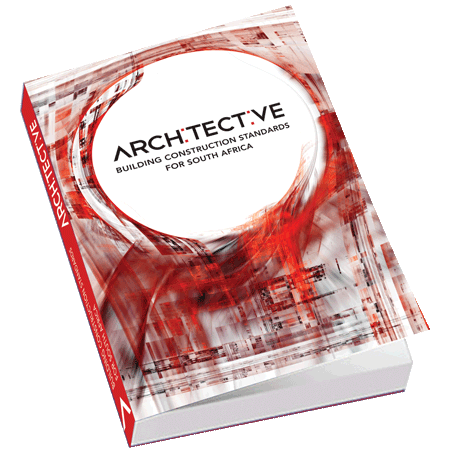 In terms of the Act, SACAP is responsible for regulating the architectural profession in South Africa. The South African Institute of Architects and the Regional Institutes are committed to maintaining the highest standards of professionalism, integrity and competence. Members who voluntarily enroll with the Institute are required to uphold and subscribe to these objectives, and within the built environment, strive to improve the standards of health and safety for the protection and welfare of all members of society and to enhance with their professional skills, the natural environment to the benefit of all. Your partner for professional product specifications on building projects throughout Africa. The Pretoria Institute for Architecture (PIA) is a Voluntary Association recognised by the South African Council for the Architectural Profession (SACAP), and is a ‘Regional Institute’ of the South African Institute of Architects. The PIA was created to serve the interests of architects in the Pretoria area, to further good Architecture and to care for the Architectural heritage unique to Pretoria. The Gauteng Institute for Architecture is a progressive regional architectural institute, which together with its members and other built environment partners can unlock communities' access to a sustainable built environment. It recognizes the immeasurable potential of responsible architecture that unequivocally improves the quality of existence of being. The Aluminium Federation of South Africa is one of the more active aluminium industry associations in the world and offers its members a wide variety of services, the most notable of which are technical information and advice, education, training and skills upgrading, a range of publications and market industry and business development support. The Institute for Timber Construction South Africa was established more than 40 years ago to regulate the timber roof structure industry, and to provide inspection and certification for compliance with SANS 10400 where engineering rational designs are applicable. The ITC-SA has established an infrastructure to serve South Africa nationally. Southern African Light Steel Frame Building Association strives to establish light steel frame building as a high quality, energy efficient, cost effective and preferred method of building in South Africa , for low rise residential and non-residential buildings. It is SASFA's mission to develop and grow the Southern African and export markets for light steel frame building. The mission of the South African Glass & Glazing Association is to develop and expand the Architectural market by coordinated promotion of glass as the Architectural glazing material of choice and to set and maintain appropriate standards of commercial conduct, quality and workmanship in the interest of both the industry and its customers. This national body of the Southern African Ready-mix Association represents all the reputable ready-mix companies, and is also responsible for promoting the Ready-mix industry and establishing ready-mix as the preferred construction material. In brief, SARMA's purpose is to set standard and guidelines with regard to environmental, safety and quality issues. The mission of the Southern African Institute of Steel Construction is to promote the holistic vigour and prosperity of the people and companies in South Africa that provide steel-related products or services to the building and construction industry. The South African Institute of the Interior Design Professions is the only professional body representing the Interior Design industry in South Africa. It operates nationally with representation in Gauteng, KwaZulu-Natal and the Eastern and Western Cape. The Institute is dedicated to establishing, promoting and maintaining expertise, professionalism, sound business practice and high standards throughout the industry. Aveng Grinaker-LTA is a multi-disciplinary construction and engineering group that delivers landmark projects. The company combines African roots - and a proud South African heritage going back 117 years - with an unwavering commitment to world-class safety and quality. Our expertise in building, civil engineering, roads, earthworks, concrete, ground engineering, mechanical and electrical is delivered through focused business units acting in synergy. Techno Surfaces specialises in the fabrication of solid surface countertops, work surfaces, staircases and furniture. We bend, shape (and play) with Corian®, Staron®, Hi-Macs®, Perago® and DuPont™ Basic Surfaces to stunning effect. Leaders in solid surface innovation & fabrication in South Africa, we are approved to fabricate Du Pont™ Corian®, DuPont™ Basic Surfaces and Staron® by Samsung. We combine CAD software with the management process BIM! Are you looking for a BIM-Software; a CAD program for architecture and civil engineering, a TAI Software for cost management or a facility management solution? Then take a tour and let our software solutions and services convince you! Salvocorp constantly strives to manufacture products that are of the highest standard when it comes to redoing your kitchen, bathroom, basins, office space or restaurant. Salvocorp works well with both the general public and industry related professionals like architects, property developers, interior designers and the building industry. Our surface finishes complement a variety of applications, from counter tops to cupboards, furniture and packaging and are also available in a variety of colours. We are dedicated to bringing our customers leading surface finishes for our industry and ensuring that all our local suppliers are trained to our highest standards. In support of the Gauteng Department of Human Settlements mandate and as a GDHS Public Entity, the mandate of the Gauteng Partnership Fund is derived from its Deed of Trust, 2002. As stated in the trust deed, “the objective of the trust is to contribute directly or indirectly to the development, construction, upgrading, conversion or procurement of housing units for the benefit of persons who form part of the class of persons who have been nominated, or will be nominated in the future, as beneficiaries of the trust”. Cemcrete – the cement innovation company… Cemcrete strives to provide the decorative industry with products that offer aesthetic appeal as well as longevity and weatherability to withstand our African climate. We are proud to be a leading South African coatings manufacturer, and invite our clients to explore the many ways Cemcrete products can be applied to create beautiful unique spaces in which we live, work and play. Our solar products will convince you with their sophisticated technology, and above all, their simplicity. The result is affordable solutions that are ready to plug in and make it easy for anyone to use the sun’s power. We only use quality products from Europe in our solar systems. The close cooperation with licenced heating system dealers and installers guarantees perfect installation and delivery service. Everite Building Products, wholly owned by JSE listed Group Five, has been associated with the South African building industry since 1941. Producing a wide range of materials that satisfy the needs of the commercial, industrial and residential market sectors, Everite is renowned for its comprehensive range of Nutec Roofing and Cladding Solutions and includes fibre-cement roofing, cladding, ceilings and building columns amongst others. Johnson Tiles, a division of Norcros Group Holdings Limited, is one of the world’s leading manufacturers of glazed porcelain and ceramic floor and wall tiles. Headquartered in the United Kingdom, the company has a long and proud history dating back to 1901. In South Africa, Johnson Tiles serves both the retail and commercial markets and is the only company with glazed porcelain tile manufacturing capabilities in the country. Our tiles are manufactured to the highest quality standards at our plant in Olifantsfontein which has been in operation since 1952. ON TAP is the chosen supplier for a comprehensive range of premium quality bathroom, kitchen and plumb ware products, including exclusive product and designer ranges, cutting edge plumbing supplies and hardware, all at affordable prices. ON TAP's established business system guarantees service excellence. Acquired by Southey Holdings in 2011 and has more than twenty years' experience in thermal panel manufacture. All insulated panels are manufactured on the premises in Silverton, Pretoria. CBI adheres to audited European standards, and its manufacturing division is operated in accordance with ISO 9001 management systems. CBI Engineering specialises in all aspects of the manufacture of insulated products for both local and export markets. Skybright Skylights specialise in glass roofs/slopeglazing, sunspaces, Conservatory Bay windows, glass walkways, skylight patio systems, glass pyramids, glass domes, skylights (fixed), roof windows (opening), glass floors, canopies, flush glazing, solar skylights, domes and barrel vaults. The Design School Southern Africa was founded in 1990, and today is a key division of The Independent Institute of Education, which is the leading registered private provider of higher education in South Africa. Pelican Systems is a leading supplier and distributor of commercial and residential interior building solutions, including ceiling, partitioning, opening and flooring systems. Lafarge Gypsum offers a wide range of ceilings and partitioning solutions by working very closely with the built enviroment professionals to put together custom made interior soltions that deliver expected thermal, acoustic and fire rated requirements. Leading products, the key to the group's success. The group has developed emblematic products under different brand names that have made them successful. WIRQUIN has become a pioneer in the sanitary equipment area, today four products are known and recognized references worldwide. The purpose of these innovations is to improve the daily life of private households and professionals. Handcrafted ceiling fans made in South Africa. Watertite Guttering (Pty) Ltd has been successfully manufacturing and installing made-to-measure aluminium guttering systems since 1973. We were the first company in South Africa to extrude customised gutters on-site and to date have completed 1,000's of successful industrial and domestic installations across the nation. On-site extrusion of made-to-measure gutters means no more leaking joints. In addition, our pre-painted double coated Polymer Silicon baked enamel means no more painting. In fact our installations come with a 15 year guarantee against rust, corrosion, peeling and flaking of the paint. Founded in 1994, Yikusasa Building Contractors has grown to be nationally recognised for its work in the construction industry. A foundation of hard work, dedication and trusted relationships continues to enable us to deliver quality builds, on time and on budget, for our clients. Rebar, Mesh & Construction Supplies was initially established to address the need to supply solutions for the rebar and concrete/precast industry. RMCS expanded into other sectors of the construction Industry due to demand from our customers. RMCS together with its international partners supply the South African construction industry with a range of number one products in its class. RMCS has the knowledge base together with the widest range of product offerings and solutions available to service this market. Helm Construction (Pty) limited is a well-established company, with a proven track record in residential construction. Having adopted a long-term business approach, the Company has a sound financial base with ethical business principals. The Importance of maintaining healthy working relationships with our loyal staff and suppliers ensures efficient and cost effective management, in order to consistently achieve high standards of quality. The use of outside contractors is limited to “Specialists only”. Decramat manufactures high quality Entrance matting and rubber equestrian surfacing using recycled cross-ply earthmoving tyres. This is because cross-ply tyres contain nylon and the durable, static properties of nylon give unequalled superior performance in trapping dirt, particulary in high volume foot traffic areas. Afripack Coatings Division was established in April 2011 and brought a new dimension to the Afripack group adding a longstanding range of foil/paper/fibre and film laminate products as well as a market leading roof insulation brand. Sisalation is a high quality reflective foil roof insulation product that cost-effectively insulates and protects residential, commercial and industrial buildings against heat, cold, dust and moisture. The product comprises of a lamination of aluminium foil to kraft paper, or woven cloth reinforced with fiberglass and, in some products, flame retardant adhesive. Aluview, a specialised shower enclosure manufacturing company operating since 1987, are fore runners in the South African shower door industry, being the very first company to offer frameless shower enclosures in South Africa. Technical innovation and the potential of the design and function of showers and shower doors really excite us. We continued to expand our shower door range and have designed and developed many of our own products. Cobra Watertech is a world leader in water control technology, research and development. With its unwavering commitment to quality and constant focus on global trends, Cobra has long had a reputation for bringing to market the most cutting-edge products based on the most forward thinking designs. FloorworX is the only manufacturer in South Africa who produces semi-flexible vinyl tiles and fully-flexible vinyl sheeting & tiles. Our locally manufactured products are SANS mark-bearing. Quality control and the environment are key factors when selecting your partner in any building related product or service. Our East London factory is ISO 90001, ISO 14001 and OHSAS 18001 accredited. Apart from the fact that FloorworX is proudly and deeply rooted in our beautiful country, we also bring South Africa the latest in flooring technology from abroad. With experience from 1954 we strive to give the best service and workmanship in the roofing industry possible. We give attention to detail, delivering all our products according to the needs of our clients. The attention given to all our projects such as installation, repair and maintenance, produce the best quality roofs in the business. Our experience will always provide the base for the best, honest advice in the roofing industry. Being a leader in the slate roof industry we also lend our attention to other roofing products. We are accredited by Nutec for the installation of cement slate tiles. Harvey and Marley tile roofs are also part of our expertise. DPI Plastics (Pty) Ltd is a leading manufacturer of PVC and HDPE water reticulation and drainage pipe and fitting systems with two ISO 9001 certified South African factories based in Johannesburg and Cape Town. In addition, within the DPI Group are wholly owned subsidiary plants in Namibia and Botswana and joint venture (JV) manufacturing operations in Mauritius, Tanzania and Angola, producing plastic pipes to the relevant SABS or international specification. Dulux is the flagship brand from the world’s largest paint company, AkzoNobel. Voted "Most Loved Paint Brand in South Africa" for three consecutive years in the TGI ICON Brands Survey*, Dulux is at the forefront of decorating and protecting the spaces we live and work in. Dulux boasts a comprehensive range of fine decorative products developed and perfected through local and international R&D initiatives. Caesarstone is a luxury, engineered quartz that is the perfect surface for kitchen countertops, splash backs, bathroom vanities, flooring, furniture and wall cladding. Our designer collections offer a range of colours and textural elements to suit any interior space and style. The engineered stone itself offers exceptional durability, quality and a solid product warranty, making it the ultimate surface material. Van Dyck Carpets is the only manufacturer in South Africa that offers all types of soft floor coverings being tufted, needlepunch and woven carpets and many of these are available in broadloom, tiles (DIY, plainback, bitumen backed) and rugs covering both the residential and commercial market. The company also manufactures a range of rubber underlays branded under the name Eco-Lay and InstaLay. Quartz Carpet is a unique seamless stone flooring system. The glacial stone used in this beautiful flooring system is exceedingly durable. The roundness of the quartz stones created by being tumbled down glacial rivers over millions of years gives this product a smooth sensation underfoot. ASSA ABLOY South Africa is popular for traditional lines such as pin tumbler, lever locks and architectural ironmongery, which have been supplied for over a century under brand names YALE and UNION. We are leading the trend towards higher door security, with access control, RFID readers, electronic locks and electronic keys with audit trail capabilities. We locally manufacture SABS approved mortice locks and padlocks, as well as mechanical cylinders and door handles. We supply emergency exit devices, door closers, hospitality solutions such as safes and electronic locks, security doors and fire doors, sliding door gear and door automatics. We offer a complete locking solution for all your locking applications. The ability to meet our client's demands in choosing their own special mix of colours or designs in any of our mosaic ranges, or mixing different products and textures is another reason why we pride ourselves as professionals within the design industry. Husqvarna continuously strive towards offering their customers innovative and powerful machines. Since 1939 Angus McLeod and Vital Engineering have established a reputation for quality and service in the manufacture of all types of gratings, stair treads, pressed floors and safety handrails. The organisation occupies an area of 33 000m2. Fabrication, loading and overhead crane facilities cover an area of 18 000m2. A variety of products and materials for numerous applications are readily available, when either costs or corrosion are factors. The range includes bitumen dipped, galvanised (610g/m2)and mild steel. Other grades of materials such as SS304, SS316, structural grade aluminium and 3CR12 are able to be manufactured. The highest grade virgin LLDPE is used and all polyethylene water and chemical tanks go through a strict quality control procedure and have a serial tracking number added to the tank. The Landscape Irrigation Association of South Africa provide high standards of water conservation, design, quality and workmanship through training and certification in accordance with the National Water Supply Regulations Act and SA Qualifications Authority. We have a range of which we are justifiably proud. Whether you are looking for local or imported; floor or wall tiles; ceramic, polished or glazed porcelain; or natural stone and slate, we have it. Our bathroom range covers every style and a variety of prices, so whether you have a small bathroom project on a tight budget, or a larger space with specific ideas, we have what you are looking for. Our taps and accessories ranges are sourced from the best local and international brands available. Wellness World’s vision is to be an affordable, accessible and comprehensive wellness facility that serves the larger community and address all the dimensions of wellness. This will be accomplished by our “let’s walk the extra mile” staff and excellent, state of the art facilities. Your wellness in one world! TALISMAN Hire offers quality equipment, prices to suit your budget and quick deliveries to meet your deadlines. Use TALISMAN quality equipment for your development, construction, maintenance, improvements and renovations at your site, factory, home, farm, road and much more. Please click on a product range of your choice to view the relevant product in each category.